Discussion in 'Official Events' started by Nell, Nov 29, 2017. With our community growing and the holidays approaching, it's time to show how much we care for each other! The basic concept of the Secret Santa game is simple. All of the participants’ names will be put in a Random Number Generator and I will notify you, via private message, about who your elf is. (An elf is the person whom you are responsible for their gift.) You will have two weeks to get their present(s) so please organize your time accordingly. Once ready, message either Raia or me for us to collect them. The gifts will be delivered through the staff members (unless they participate) on the estimated time of 10AM (GMT+8) December 24th (or website time 7PM of December 23rd). You can also leave a note for your elf. 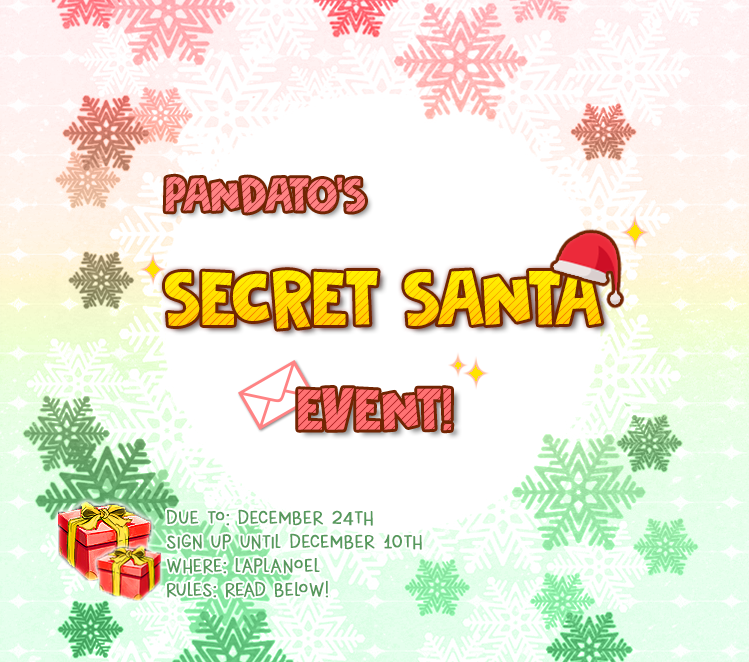 We will gather in Laplanoel Town and after receiving your present, you have to guess who your Santa is! Then there will be a small photo session to commemorate this day. All participants will receive a special item from the staff. Sign up is until December 10th! It is important to know that this is a player event, meaning you play a big role in terms of contribution; and also is NOT a giveaway. You receive as you give. Thread closed. Everyone here will receive a forum message with the name of your elf and the wishlist they posted.